Indian real estate has been undergoing a massive transformation since the past few years. Government regulations like Real Estate Regulatory Authority (RERA), Goods and Services Tax (GST) have brought transparency in the industry. Owing to this, the industry changed for better and developers became cautious whereas buyers gained confidence in the redressal system implemented by RERA. But the most important change that transformed and disrupted Indian real estate industry is technology. With the mushrooming of Proptech startups, the entire process of buying, selling, dealing with real estate agents and channel partners have been redefined. Buyers are spoilt with choices and developers are going an extra mile to prove their credibility. The most interesting fact is that developers are shaking off their traditional habits and are ready to incorporate technology with the aim of saving time, money and efforts. From detecting snags at an early stage to developing applications for homebuyers, developers and promoters have made effective use of technology. Want to visit a property site? Virtual tour of the property is the answer. Buyers no longer have to worry about site visits. Virtual Reality, popularly known as VR, enables buyers to experience avenues and spaces without having to actually visit the place. If you are thinking that it is just the residential sector that is benefiting out of technological development, then you are wrong. With the emergence of coworking spaces, startups have invested their money in analysing how tenants feel and experience in a particular coworking space. As much data is collected to determine what increases the productivity of employees and what needs to be incorporated within a coworking space to create a better ambience. Artificial Intelligence, Internet of Things, Blockchain, Augmented Reality are still in its developing stage as far as the real estate industry is concerned. But the changes that they have brought till now cannot be overlooked. The number of green buildings is also increasing, thanks to technology. Furthermore, the Prime Minister of India has declared April 2019 to March 2020 as the ‘Construction Technology Year’. Aditya Kedia, Managing Director, Transcon Developers is of the view that the Indian realty sector which was unorganized and ambiguous has seen a huge revamp. He said, “It has evolved into a transparent organised sector and that is purely because of embracing newer technology. While initially, it started with using bits and pieces of technology here and there, today with policies like GST, RERA implemented, technology necessarily had to become the soul of the segment and there it is today, realty’s lifeline. Tech companies in the real estate and construction segment known as proptech are on a rise. The proptech scenario is prevailed by online brokerage partners who deal in both residential and commercial. Not only this, developers are making effective use of technology that aid in smart building solutions like virtual realty and augmented reality. The use of these will help scale projects even while focusing on the tiniest of the details. This will, in turn, encourage the markets to surge. 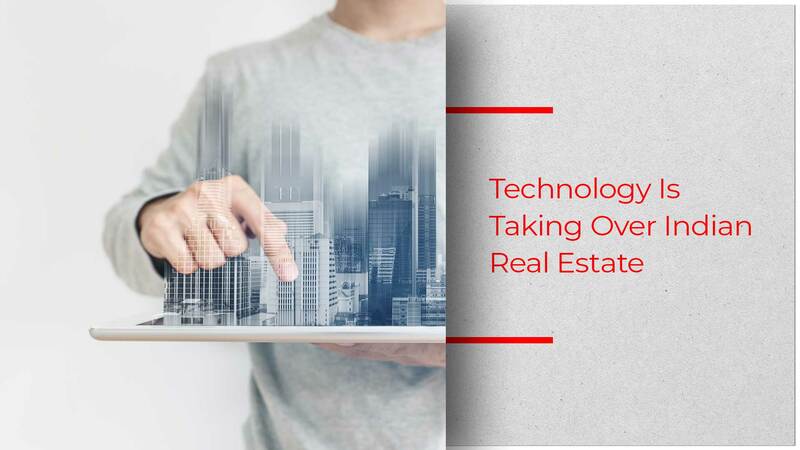 According to JLL’s report, India is one of the fastest accepting markets of proptech across the Asia Pacific region. During the last so many years of tough times in the Indian realty sector, it was inevitable to keep a tab on costs and thus it was necessary for end-to-end management software to be installed.